Train your logic and challenge your brain and your opponent's brain as well! You can sharpen your domino skills so you'll win far more often! You will learn both general dominos principles and advanced domino techniques. 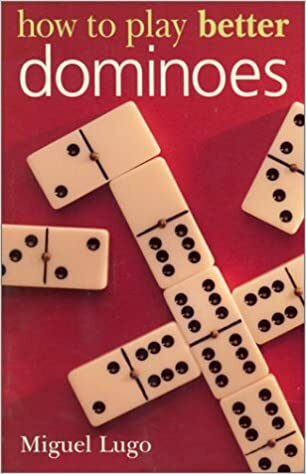 Lots of illustrations guide you through every aspect of dominoes. Start by learning what are domino suits and scoring procedures. Learn when to add your domino bone to the "skeleton" or if you need to develop the structure. You will see diagrams with acceptable plays and examples of entire domino games. Playing tips will improve your chances of winning. You will also learn exercises that will help strengthen your memory and powers of deduction. When you are done with the basics there, there's plenty of material on intermediate and advanced skills and strategies! 'How to Play Better Dominos' is extremely useful for those who play dominos online.